Material and chemical testing and research services since 1923. An extensive range of materials testing and analytical services. Based in Dallas Texas, serving the world. Dallas Laboratories Inc. has the experience needed for your material and chemical testing requirements. Our labs are equipped with a broad range of equipment. Among the instrumentation includes chromatography (GC), spectroscopy (FTIR, Color, XRF), thermal analysis (TGA, DSC), and polarigraphy – all of which underscore our expertise in the disciplines of analytical and material testing. Among the materials of the building construction industry we routinely test are carpet and a variety of coatings. Paints, varnishes, lacquers and other coatings are all tested in accordance with ASTM, AAMA, Federal Test Methods, and military specifications. Dallas Laboratories performs SIG testing certified under ISO 17025. Our labs can test a range of consumer and industrial goods involving charcoal, automotive fluids, plastics, and personal care products, to name just a few. Our analyses, both quantitative and qualitative, include metals, minerals, cements, coal, and various organic and inorganic sub­stances to determine chemical composition. Solid waste and waste water are tested according to EPA methods. Clients of Dallas Laboratories Inc. rely on us to provide them with impartial and confidential information regarding their prod­ucts. We test for regulatory compliance, quality and advertising claim substantiation. You can count on our years of experience testing window, doors and curtain wall specimens for both commercial and residential applications by the building industry. 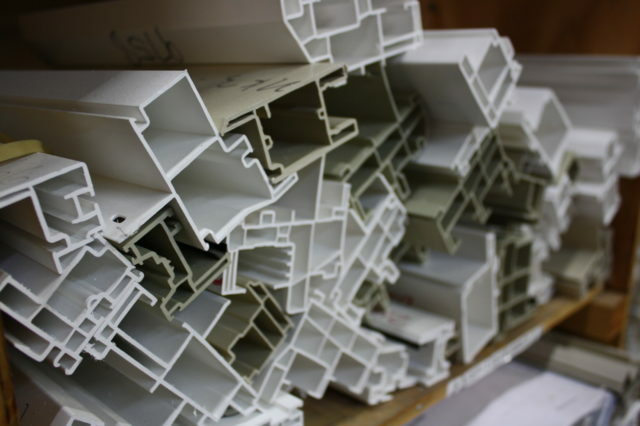 Aluminum, wood, FRT/FRP, and vinyl fenestration products are evaluated to ASTM and AAMA test methods. Performance and outcomes of tests are evaluated using various manufacturers’ associations standards. In our window and door laboratory, nationally recognized for the highest degree of professional integrity, we conduct material and performance tests for structural materials, as well as forced entry and deglazing force. In addition, we perform testing of coatings (paint, anodizing, laminate, etc. ), sealant, flashing, thermal-break, replaceable weather stripping, and other component material tests. We place major emphasis on environmental exposure testing as we examine a wide range of products for their durability. Our principle tests relate to outdoor weather exposure, humidity, salt fog, ozone exposure, and ultra-violet exposure. Mid-continent (TX) and National (AZ, FL, OH) outdoor exposure consists of tests of products in direct weathering conditions or under glass and at specified angles. Accelerated U.V. testing provides a variety of exposure conditions. 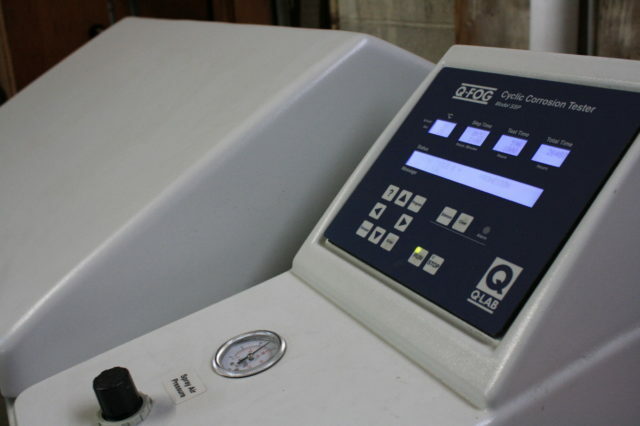 Multi-test salt fog chambers provide uniformly accurate test conditions in compliance with ASTM, ANSI, SAE, and other test methods. Ozone exposure is performed using ASTM methodology. Heat and cold cyclic testing is performed on-site per ASTM testing procedures. Dallas Laboratories Inc. is the largest sealed insulating glass testing facility in the nation. Tests provided meet ASTM standards, including accelerated weather cycling, high humidity, Argon content, and fogging tests. 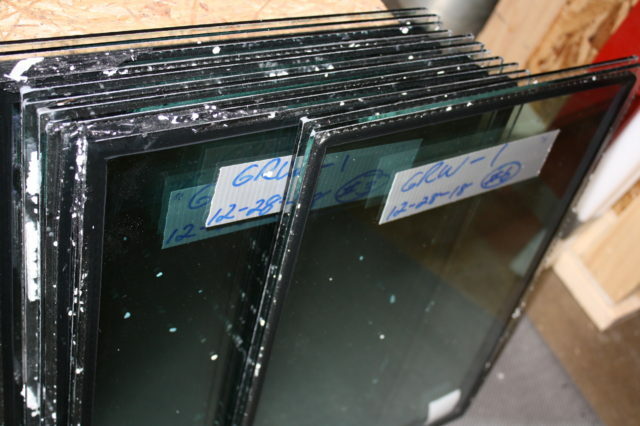 We offer forensic services for sealed insulating glass failures on a nationwide basis. We use ASTM and IGMA test methods for determining chemical compatibility of glazing compounds on insulated glass edge seals.